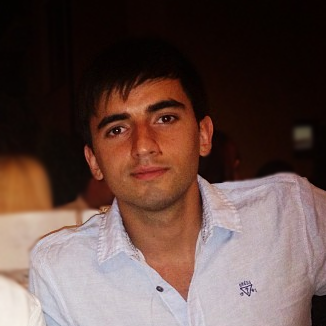 Bobby Marinov grew up in Chicago, Illinois. He graduated from DePaul University with a double major in Marketing and Accounting. He started out working as a leading coordinator and manager at Van 3 Auto Transport, a car shipping company based in Chicago. With his background in business from DePaul University, Bobby quickly become a key figure in the success of Van 3 Auto Transport. The management team of Van 3 Corporation has been in the business for over 30 years combined. We specialize in transporting automobiles all over the United States. Our international sector has people that have helped ship automobiles to more 39 different countries worldwide. Van 3 Auto Transport has been the company that sets the standard in the automobile transportation business. Our vehicle transportation specialists will do everything in their power to help you move your vehicle in a way that is safe, reliable and hassle-free. All of our quotes include service that is door-to-door, 100% insured with $0 deductable. We strongly believe transporting vehicles should be a hassle-free process. 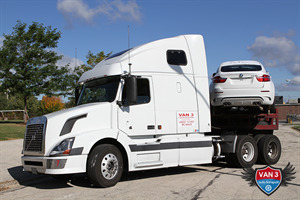 Van 3 Auto Transport is one of the leading vehicle transportation companies in the United States based in Chicago. We work hard every day to provide our customers with the highest level of automobile transport experience. We understand that transporting your vehicle is no small matter, due to the fact that it is an expensive (not only material) possession therefore we only work with the highest rated carriers in the United States to ensure that your vehicle is safe from start to finish. 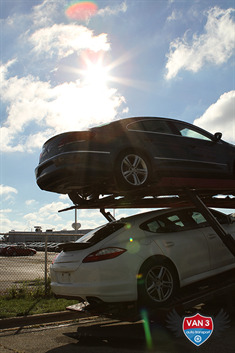 In the United States there are more than 10,000 vehicle shipping companies. Choosing the right one is a major choice that you have to make. Before choosing the right company you have to closely evaluate each company based on your specific needs and make sure that it fits your budget. Just like with any important decision you make in your life, you need to do research in order to make sure your make the right choice. Insurance is one of the most important factors that you need to analyze closely. If anything does go wrong with the move is the transporter 100% insured? If something happens who will cover you financially? These are some of the major questions you should ask yourself to make sure that your car is in safe hands. You do not want to be responsible if the auto transport company makes a mistake while your car is in their hands. Car transportation companies have different insurance policies. One of the important factors you need to look at is to make sure that the auto transport company's insurance is primary or if your own insurance will be billed for the expenses first. If the auto transport company's insurance is not primary your insurance company will be billed first and the insurance of the transporter will cover if there is anything left to cover. By checking the insurance of the transporter you can avoid a raise on your insurance rate if anything does go wrong. Van 3 Auto Transport is 100% insured and if anything ever does go wrong our insurance will cover your vehicle 100%. Price is a very important factor that will influence your decision when choosing a car transportation company. With the current economical situation in the United States more and more people are looking for ways to save money. It is important to make sure that you check the prices of at least three different car transportation companies to get an idea approximately what it will cost you to ship your car. When checking the prices of different companies it is also important to look at other important factors like reputation, reliability and the experience of the transport company. Please be aware of companies that offer prices that are way below everyone else. They are able to offer a strikingly low price, which means they are cutting costs by using equipment that is not safe or they are hiring unqualified drivers. Payment Method may vary from company to company. Some companies may require a deposit; others may accept payment when your vehicle is delivered. The companies that require a deposit will require you to pay the rest when your vehicle is delivered. This can lead to problems and makes car transportation more complicated. Look for companies that have a good reputation and require you to pay the amount at once and in full so you do not have to worry about how much you have left to pay, when to pay it, or how to pay it because the carrier cannot accept anything else but cash. Van 3 Auto Transport requires a one time payment for the full amount because we care about our customers and we want auto transportation to be an easy, hassle-free process. We accept all terms of payment so our clients can take advantage of every payment option they feel comfortable using. 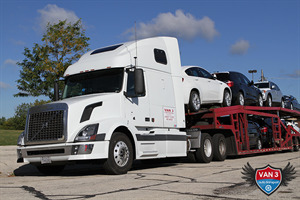 Reputation, Experience, Trust are some of the qualities that you should make sure that a car transportation company has before choosing to transport your vehicle with them. The best way to get information about a car transportation company is by word of mouth. If you have a friend or a relative that has used a car transportation company, it is best to get that information from them. Another good source of checking the reputation of a company is to use the Better Business Bureau. Look to see if you can find any claims against the company and if they have been resolved. Van 3 Auto Transport is proud to have a 100% positive rating with Central Dispatch, Better Business Bureau, and FMSCA. Cancellation of Auto Transportation Appointment can sometimes cost clients hundreds of Dollars. It is important to look for a company that will not charge you if something unexpected happens in the last minute. At Van 3 Auto Transport we understand that sometimes in life plans change, and we do not charge our clients for it! We are a company that does not charge a cancellation fee! Stay away from car transport companies that try to hit you with all kind of hidden fees! At Van 3 Auto Transport we believe that our customers should pay only after we have done our job and they are 100% satisfied with our services! At Van 3 Auto Transport we are proud to offer our customers the best car shipping experience in the industry. We strive to not only to meet your expectations, but to exceed them! Give us a call or send us an e-mail with any questions you may have. We will do our best to answer them and make your next car shipping experience your best one! Van 3 Auto Transport helped me move my vehicle in less than one week to California. 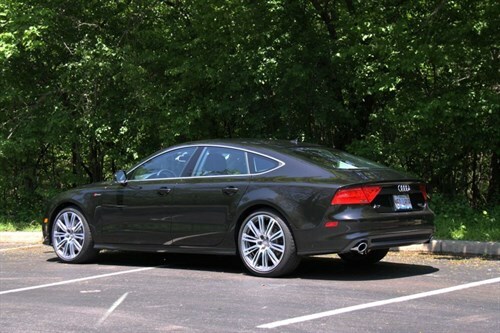 Bobby was very friendly and made the process quick... Taylor P.
Our driver just delivered this Audi A7 in Kentucky. 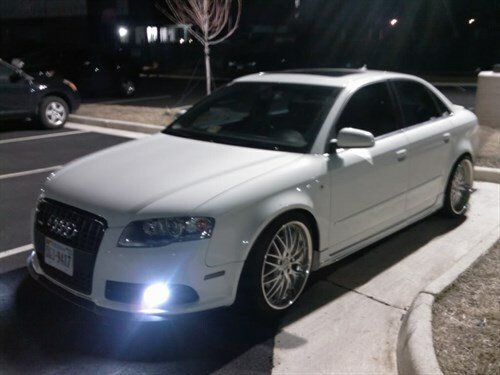 We are currently transporting this sporty Audi A4 from New Jersey to San Jose.